A Whiteline sway bar, anti-roll or stabilizer bar provides a link between the left and right hand side of your suspension during cornering and is designed to minimise vehicle body roll, with cornering loads spread more evenly across the tyres resulting in more grip. Better grip, improves handling and ultimately leads to a higher performing vehicle. Whiteline adjustable sway bars allow their stiffness to be altered by increasing or reducing the length of the lever arms. This permits the roll stiffness to be tuned for different situations without replacing the entire bar. The stiffer the bar, the more force required to move the left and right wheels relative to each other. This increases the amount of force required to make the vehicle body roll. 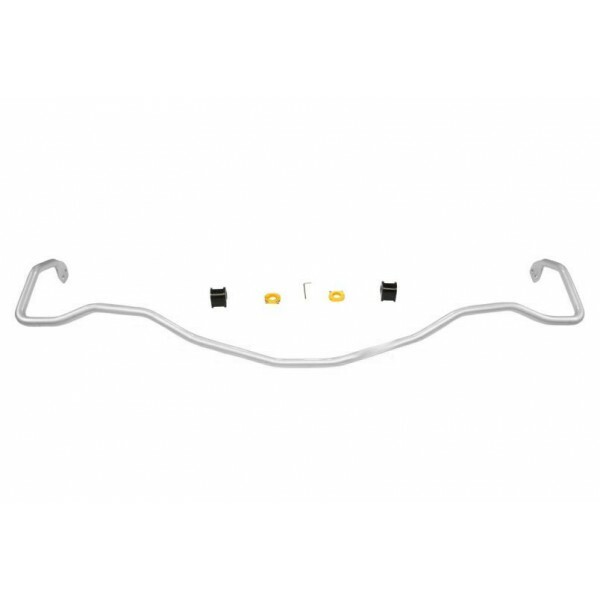 Whiteline adjustable sway bars offer from 2, up to 4 points of adjustment, allowing in some cases 10 distinct stiffness settings for precise handling bias (towards oversteer or understeer) adjustment. 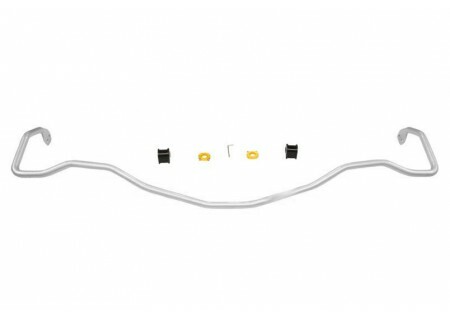 Whiteline sway bars are manufactured using the finest grade spring steel. They are powder coated and supplied with high performance polyurethane mounting bushes in a DIY kit form, ready to simply bolt on. So without reducing comfort, a Whiteline sway bar will make your suspension system and tyres perform better, making the car more responsive while delivering more grip.